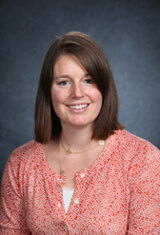 Dr. Jessica Mulligan joined the PC faculty in September 2010. She finished her graduate work in social anthropology at Harvard University in 2007 and then served as a Mellon Postdoctoral Fellow at Connecticut College from 2008-2010. Brugnoli-Ensin, I. Mulligan, J. (2018) Instability in Insurance Coverage: The Impacts of Churn in Rhode Island, 2014-2017. Rhode Island Medical Journal. (101), 46-49. Mulligan, J. (2017) The problem of choice: From the voluntary way to Affordable Care Act insurance exchanges. Social Science and Medicine.34-42. Levine, D. Mulligan, J. (2017) Mere Mortals: Overselling the Young Invincibles. Journal of Health Politics, Policy and Law. (42), 22. Mulligan, J. (2016) Insurance Accounts: The Cultural Logics of Health Care Financing. Medical Anthropology Quarterly. (30), 37-61. Dao, A. Mulligan, J. (2016) Toward an Anthropology of Insurance and Health Reform: An Introduction to the Special Issue. Medical Anthropology Quarterly. (30), 5-17. Levine, D. Mulligan, J. (2015) Overutilization, Overutilized. Health Politics, Policy and Law. (40), 421-437. Horton, S. Abadía, C. Mulligan, J. Jo Thompson, J. (2014) Critical Anthropology of Global Health 'Takes a Stand' Statement: A Critical Medical Anthropological Approach to the US' Affordable Care Act. Medical Anthropology Quarterly. (28), 1-22. Willen, S. Mulligan, J. Castañeda, H. (2011) Take A Stand Commentary: How Can Medical Anthropologists Contribute to Contemporary Conversations on “Illegal” Im/migration and Health?. Medical Anthropology Quarterly. (25), 331-356. Mulligan, J. (2010) It Gets Better if You Do? Measuring Quality Care in Puerto Rico. Medical Anthropology. (29), 303-329.